In this impatient era of email and instant messaging, there's no more meaningful correspondence than the handwritten letter, and the handsome Calligraphic Ritual Kit from Lo Scarabeo makes it easy and fun! 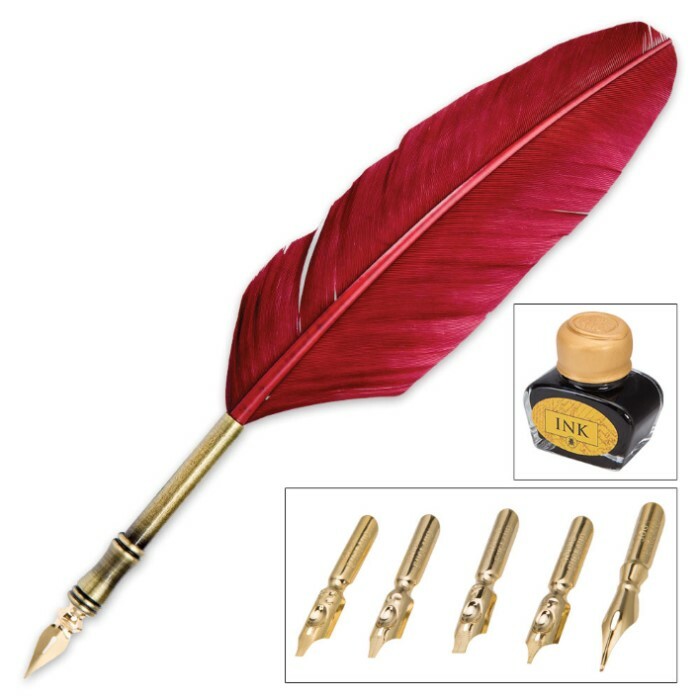 Write to your heart's desire with the traditional red quill pen, dipping ink and interchangeable calligraphy nibs. Then consecrate it with an elegant pentagram/crescent moon wax seal. This versatile kit is perfect for creating special documents—spells, letters, invitations, cards and more! 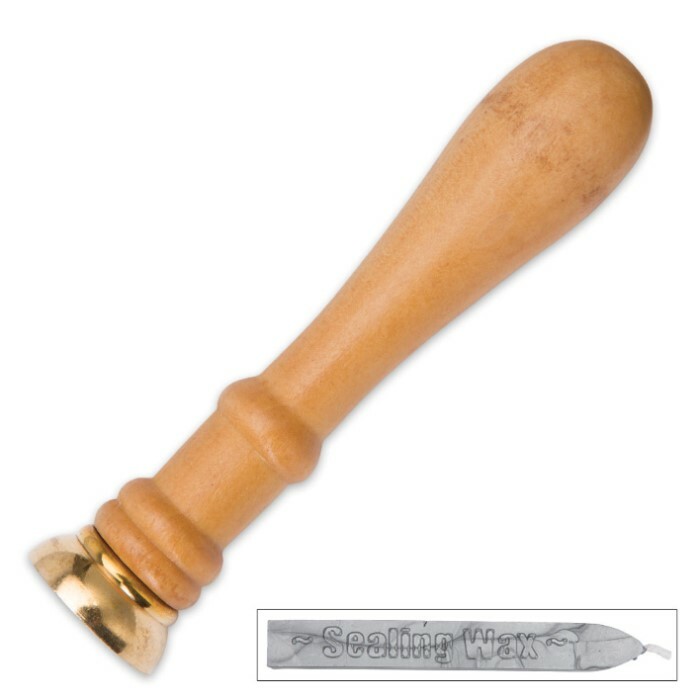 Includes a feather pen with five interchangeable calligraphy nibs, ink, natural sealing wax stick and a seal.